I know the new CPT, ICD-9, and HCPCS books for 2011 will be available soon. However, they are very expensive. Is there a way to download or purchase just the revisions for the new year? It doesn't make sense to have to buy a completely new book when all you need is to know what changed. Does anyone know if such a thing is available and how I can access it? Thanks. I'd stay away from overstock.com...They're not cheap at all! Last edited by btadlock1; 12-05-2010 at 02:43 PM. 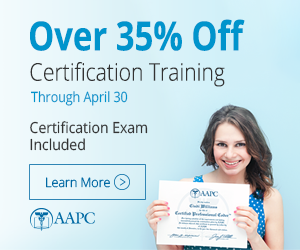 You can find ICD9, CPT and HCPCS bundle on AAPC website for only $179.95. These books are new spiral bound expert editions (ICD9 and HCPCS) and AMA CPT Professional. You can also choose to purchase Physician Bundle 3, which includes ICD9, HCPCS and Procedural Coding expert (contains the official AMA CPTÂ® codes and descriptions, but excludes the AMA's rules and guidelines) for $134.95. If you're looking for updates only - AAPC provides Complete 2011 Coding Update Webinars - Member price $129.95. You use to be able to view them on the CMS website . . . can you still download them there?